See more Betsey Johnson Necklaces. We check over 450 stores daily and we last saw this product for $145 at Macy's. Betsey Johnson dives deep for gorgeous style inspiration. 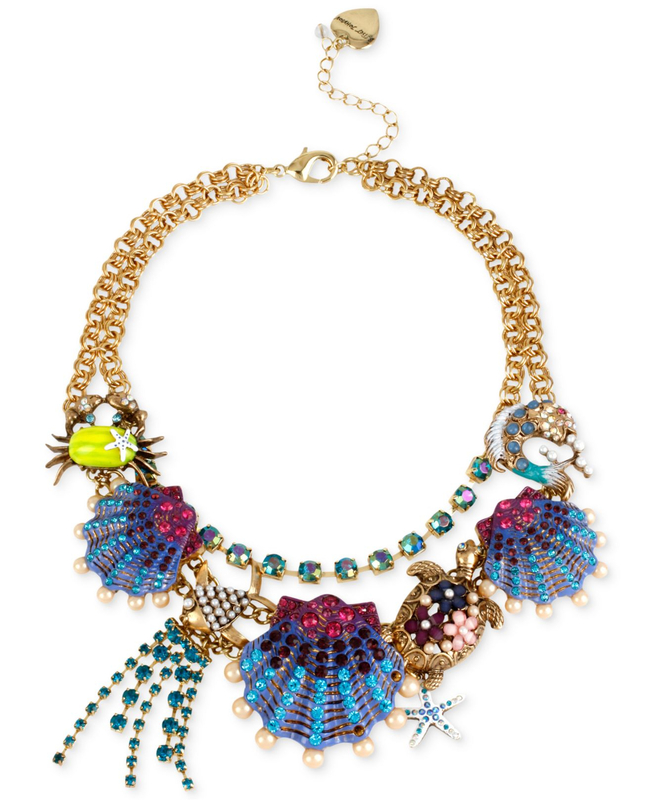 This frontal necklace is heavily adorned with ocean critters and sparkling details. Includes imitation pearls and crystals. Lobster clasp. Crafted in gold-tone mixed metal. Approximate length: 15 inches + 3-inch extender. Approximate drop: 2-3/4 inches.